Those DARN HOLLOW chocolate bunnies! There outta be a law!!! 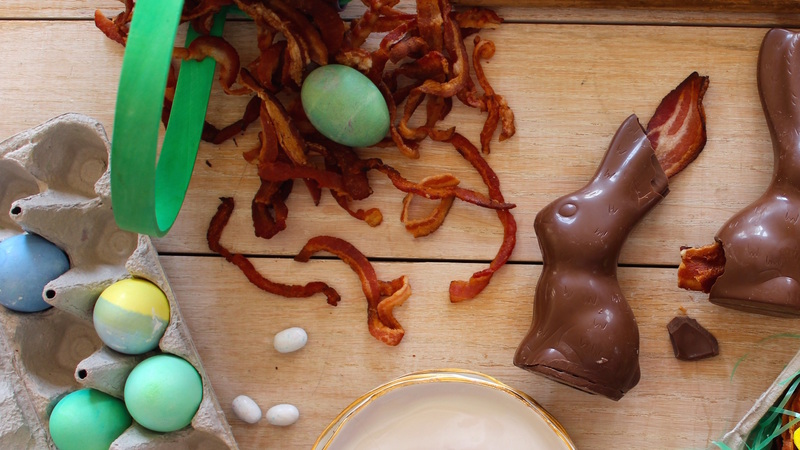 What if we filled the hollow easter bunny with bacon? There are NO dark chocolate bunnies. Cow Poke, NorrinRadd amen'd this post. There is, and it's not hollow! A pastor friend of mine shrugged and said, "it's the empty tomb!" That is not in my hands, therefore it doesn't exist. PM me your address, and it shall be made so. Thanks, dear friend, but that's asking too much. I will keep my eyes open for one here.